Leverage Tech Data’s StreamOne platform to seamlessly connect to all major cloud vendors. 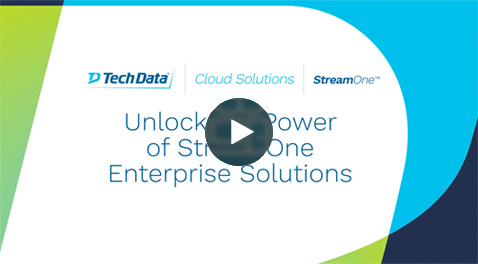 StreamOne enables Tech Data business partners to scale, launch and manage a broad range of cloud services while helping them handle provisioning, billing and end-user lifecycle management. Which StreamOne platform is right for me? 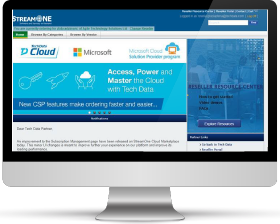 SCM and SES provide you with a cloud platform that simplifies and speeds up cloud transactions and is faster than dealing with individual vendors. Access interactive dashboards to help track cost, spend, and usage; and APIs to enable integration with your business. Ready to expand your business in the fast growing cloud computing market?